The benefits of an integrated, personal fitness program are numerous and they shape a majority of our day-to-day activities. Statistics show that musculoskeletal pain is becoming more and more prevalent. This has been contributed to a reduction in the general activity of the population. Things like lower back pain, knee injuries and general chronic diseases are believed to be more common than is necessary if people sought the recommended levels of daily activity. It is estimated that over 50% of U. S. adults do not engage in the minimum recommended level of physical activity, which is at least 30 minutes of moderate-intensity about 4 to 5 times a week. Furthermore, many individuals don't properly diversify their activities to establish flexibility, stability and balance along with their strength and power activities. The weekend warrior often gets injured due to the lack of an integrated, personal fitness routine. 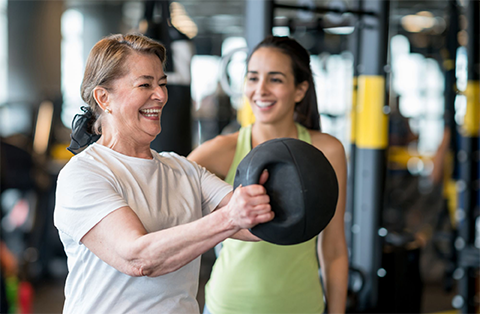 Because of the wide variety of physical conditions that a person can be in, one needs a fitness program that is tailored to move them from their current state to achieve their physical fitness goals. When you get engaged in an integrated, personal fitness program, your bodies begin to change at a cellular level, allowing more energy to be released with less oxygen. Your heart and capillaries become stronger and more dispersed in order to allow a more efficient flow of oxygen and nutrients. Your muscles, tendons and bones involved with this activity also strengthen to accommodate a better proficiency at performing the activity. In time, your body releases unnecessary fat and your stride and gait become more efficient. Your resting heart rate and blood pressure drop resulting in long-term circulation benefits. These adaptations make you healthier and more capable. Due to the integrated, personal fitness program, you now have a larger selection of activities from which to choose to enhance your life. Contact us for a free assessment or to learn more details about fitness and IPF. We hope that you will let us help you attain your fitness goals.